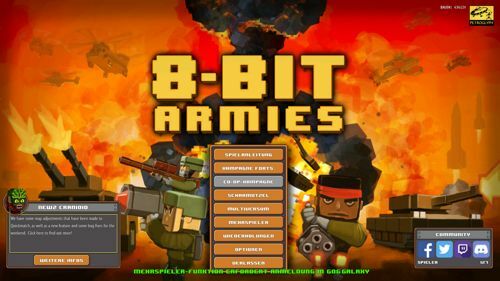 I bought “8-Bit Armies” from GOG.com today and installed it on a fresh Windows 10 64 Bit install. It didn’t work out of the box, claiming DirectX 11 was not installed, and it took me a while to make it work, so here’s what I had to do. It looks like the version GOG.com ships is missing the installation files for some dependencies, most importantly the Visual C++ Redistributable for Visual Studio 2015 and the DirectX 11 installer. I had to download and install them manually. Download the Visual C++ Redistributable from here and install. I just downloaded both versions for 32 and 64 Bit Windows, even though 8-Bit Armies only needs the 32 Bit version. Download the DirectX Web Installer from here and install. If I hadn’t done so, the game would claim about a missing D3D_COMPILER.DLL. That was it for me. Other players sometimes report black screens after the game starts, I didn’t run into this problem.